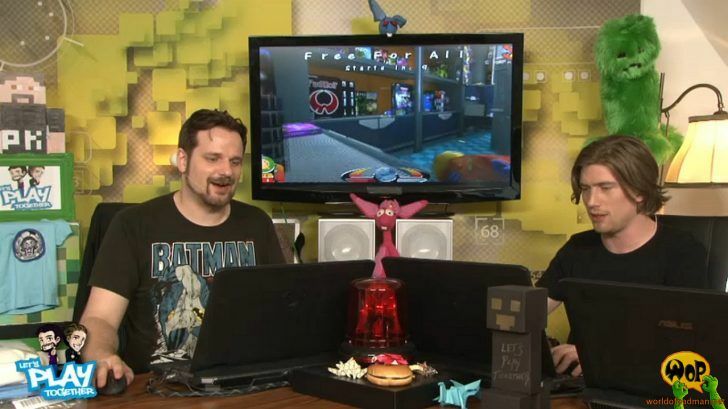 Gronkh and Sarazar, famous for their Let’s Play Together shows and YouTube-channels here in Germany, recently played World of Padman. You can watch the recorded live stream (in German only) of the show at YouTube. They present there the maps PadShop and Backyard and the game modes Free For All and Spray Your Color. We as the developing team behind World of Padman and the entire [PAD]Community wants to thank Gronkh, Sarazar and their team for presenting the game. For all the new players out there: please make sure to install the WoP 1.6 patch before trying to play online. Also, dip into ENTE’s video message (in German only) on his channel IchPackeAus. There he is giving some historical facts about World of Padman. Enjoy!